Cellulite affects 80-90% of women, but scientists still aren't quite sure why it forms. That's why it can be difficult to treat. Homemade cellulite creams, however, may help to minimize the appearance of cellulite. While there is still much to discover about cellulite, there are some recognizable causes. Scientists know that it occurs due to pockets of fat that have squeezed between bands of tissue, causing visible dimples on the skin. These bands of tissue, called septae, are structured differently in men and women, which is why cellulite primarily affects the latter. Contrary to popular belief, cellulite isn't necessarily tied to weight. Women of all sizes get cellulite because even a small amount of fat can push through flimsy female septae, leading to unwanted dimpling. Cellulite is largely a structural problem, caused by the fat beneath the skin. There are topical treatments that can improve the appearance of cellulite by strengthening the outer layer of the skin. When skin loses strength and flexibility, which occurs due to age, the underlying structural tissue becomes more visible. Essentially, thin and sagging skin makes the fat pockets more pronounced. Making a homemade cellulite cream is simple, and it's more cost-effective than buying high-priced cellulite creams. Combine 1 Tbs. of grapefruit seed oil extract with 1 cup of coconut oil. Stir together until well mixed. Apply the mixture to cellulite, taking care to rub it into the surface of the skin. 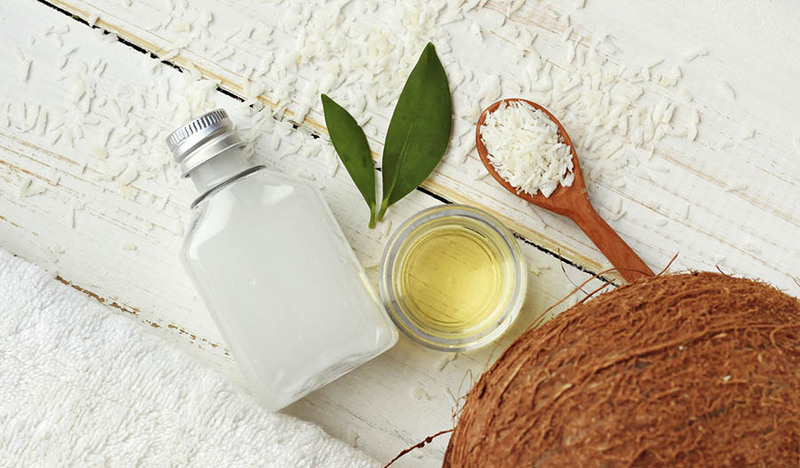 Coconut oil contains fatty acids, which moisturize the skin and reduce inflammation. It also contains antioxidants, which help to protect against skin damage caused by age and environmental stressors. Grapefruit seed oil, on the other hand, contains bromelain, a digestive enzyme that helps to exfoliate the skin. Because this oil helps to get rid of the damaged outer layers of the skin, it may be an effective way to treat cellulite.